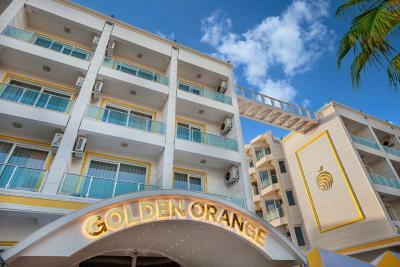 Lock in a great price for Golden Orange Hotel – rated 8.3 by recent guests! I liked the hotel generally. Rooms were highly clean. There was a variety of food in restaurant. It was a comfortable and luxurious hotel and I recommend a stay. 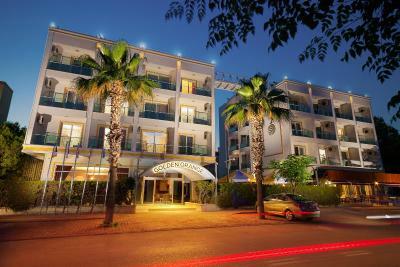 It's next to konyaalti beach and close to aqualand, dolphinland, Antalya aquarium and Antalya museum. We stayed in the end of September. 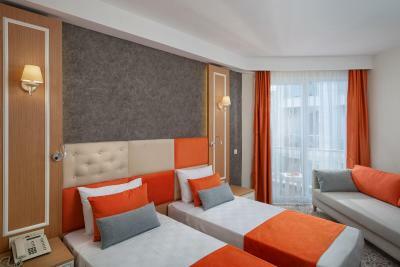 The hotel is clean and with good location, very close to the beach. Room was comfortable and cleaning was done on daily basis. The bathroom is not big however not small at the same time, for me it was ok. Amazing breakfasts, fresh vegetables, fruits, cheese, homemade eggs, best coffee. Swimming pool area is also very nice and clean. Friendly and helpful staff 24 hours. There is also lots of markets and restaurant very close to the property. My husband and two kids (8 and 4) have just finished our stay at Golden Orange and I we had a great time. The food was amazing and it was so nice to be served your dinner and it was without a doubt value for money and worth going. Towels are free with towel cards. Wi-Fi worked fine and kids could stream YouTube of an evening and Netflix. The reception Togay (hope that is right) was so great with my 4 year old son and is a credit to the Golden Orange. I hope the Golden Orange read this and make his Manager aware of a great team member he has. Top bloke. I was recommended this place by a few different friends, and we were not disappointed. As a family of 8, we recently spent 2 weeks here. The food was of a high standard. The waiting staff, the restaurant staff were all excellent. The hotel was clean , tidy, very comfortable and clean rooms. Our balcony view was overlooking sea and swimming pool as we had 3 rooms. The lovely atmosphere, extremely convenient location. 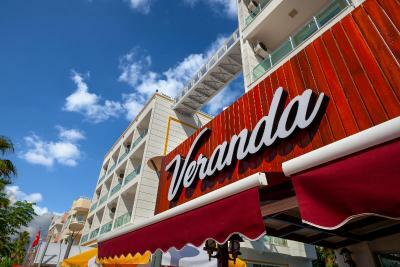 Beach is just 2 min by walk, all markets, restaurants and shopping center is in a close distance. House keepeing cleaned our rooms every day and should say they work really perfect like 5 star standards. I will come back for sure next time and recommend to all my friends. The hotel is value for money. 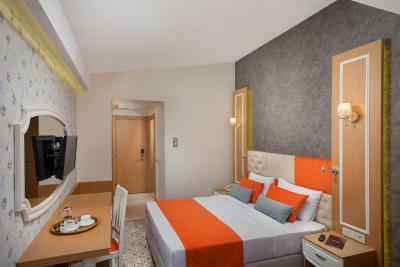 Golden Orange Hotel This rating is a reflection of how the property compares to the industry standard when it comes to price, facilities and services available. It's based on a self-evaluation by the property. Use this rating to help choose your stay! 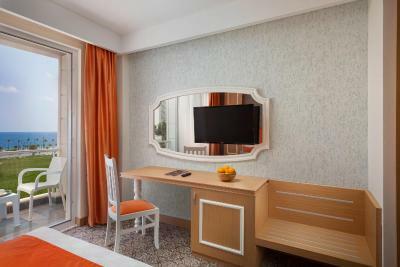 One of our top picks in Antalya.Located in Antalya, 1.9 mi from Antalya Aquarium, Golden Orange Hotel provides accommodations with a seasonal outdoor swimming pool. 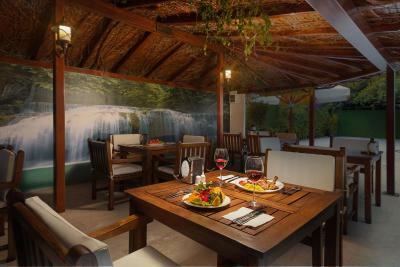 The property is located 2.2 mi from Antalya Aqualand. 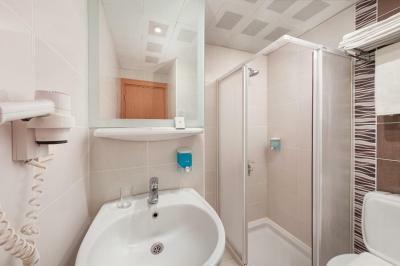 The property offers free private parking and free WiFi. 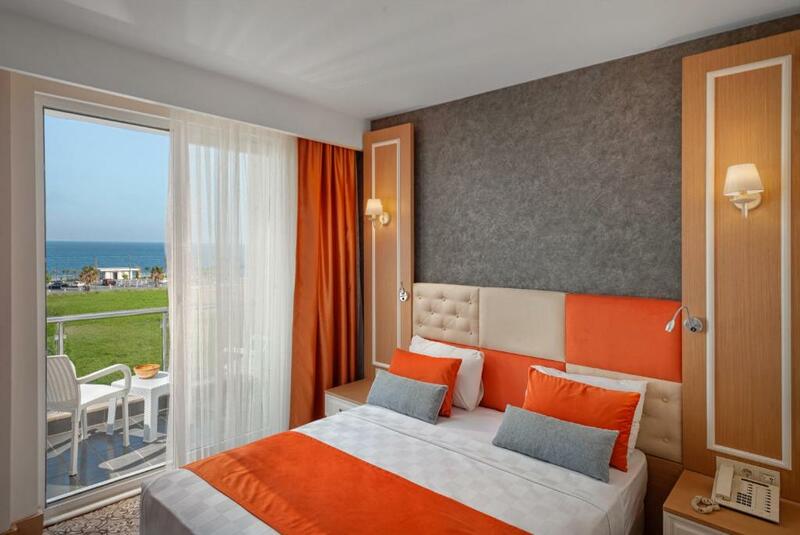 Famous Blue Flag Konyaalti Beach is just 400 feet from the property. 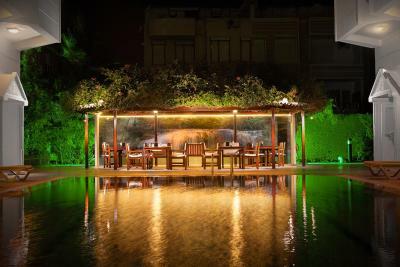 You can enjoy the on-site cafe & bistro at Golden Orange Hotel. At the hotel, rooms come with a wardrobe. 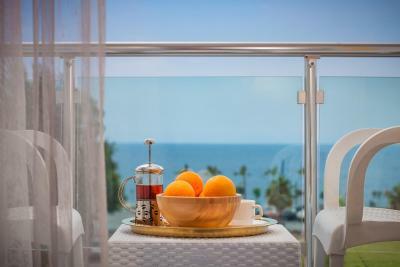 The rooms include a private bathroom with a bath or shower, while some rooms here will provide you with sea views. 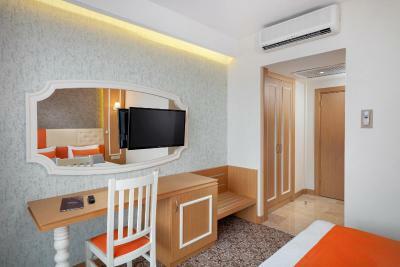 At Golden Orange Hotel each room is fitted with air conditioning and a 32'' HD LCD TV. 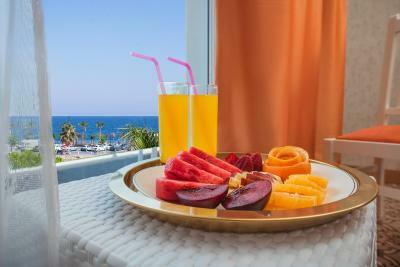 Guests at the accommodations can enjoy a continental breakfast. The reception can offer helpful tips for getting around the area. 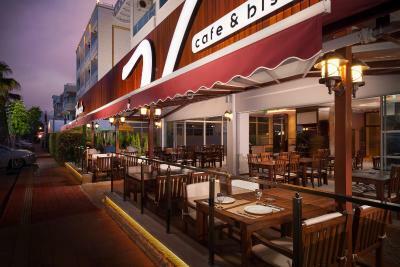 You can also find various cafés, restaurants and shops in the surrounding area. 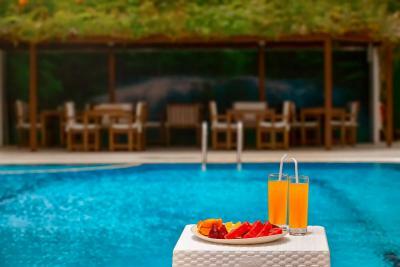 20 feet Migros is 2.4 mi from Golden Orange Hotel, while Antalya Museum is 3.1 mi away. 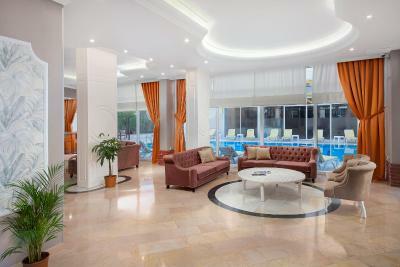 The nearest airport is Antalya Airport, 9.9 mi from the property. 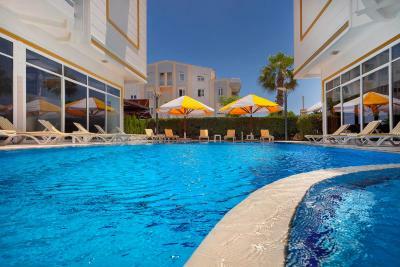 This property is also rated for the best value in Antalya! Guests are getting more for their money when compared to other properties in this city. 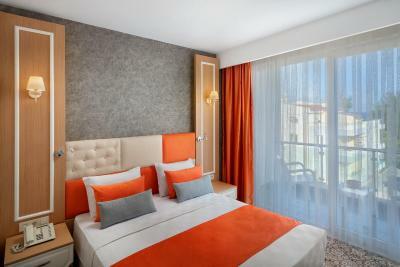 When would you like to stay at Golden Orange Hotel? 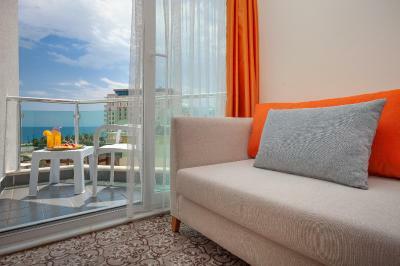 This double room has a balcony, flat-screen TV and mini-bar. This triple room has a balcony, air conditioning and mini-bar. 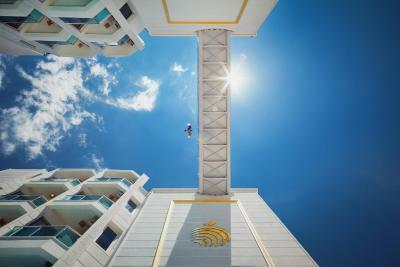 House Rules Golden Orange Hotel takes special requests – add in the next step! Debit card Golden Orange Hotel accepts these cards and reserves the right to temporarily hold an amount prior to arrival. 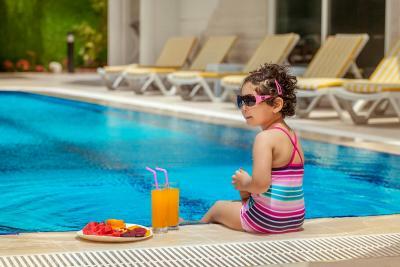 Golden Orange Hotel accepts these cards and reserves the right to temporarily hold an amount prior to arrival. The one thing we didn't like was that staff couldn't speak English. The bathroom was small in one of the rooms we booked. In the morning, there was no hot water for shower. Moreover, there were ants on the beds. 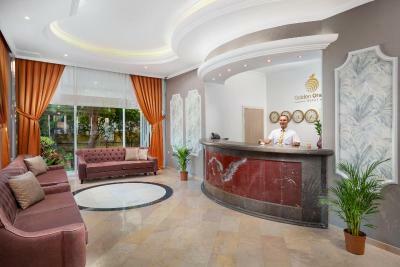 One of the best things about Golden Orange hotel is the staff - all were very helpful but the real star was Togay. He dealt with all our queries with a smile and went out of his way to help us. Top bloke! Very nice and cozy hotel. The service is perfect, everyday cleaning, friendly staff. Good breakfasts, they even serve hot wafles for open buffet. 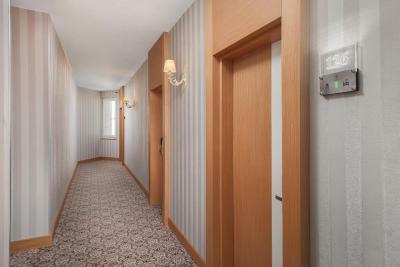 Location is good, close to the city center. There is resturant on spot, good cuisine and adequate prices. Read a lot of comments about showers, to my mind shower was new, comfortable and more than anough space for 1 person. Thank you for our good experience with you, will stay with you again. WiFi isn't the strongest in rooms but don't let that out you off. Everything was fantastic, staff were amazing and very helpful and kind. Very nice hotel. Comfortable rooms, helpful staff, rich breakfasts, great location. Good wifi connection. Quiet and cozy hotel. Close to the hotel there is markets, shopping center, lots of restaurants. 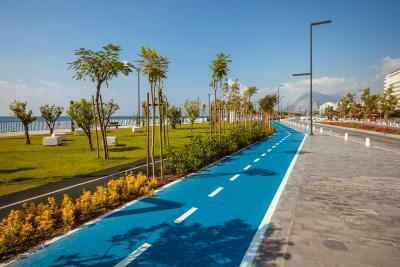 On the seaside there is a jogging road and bicycle road, just 2 min by walk. We enjoyed our stay and will come back again. The hotel exceeded our expectations, I would give it 4 star for sure. The breakfast menu was amazing, everyday different tasty dishes. The room was comfortable with nice view, very clean, good bed. Staff were really helful and welcoming. The restaurant was great. the dishes were delicious. 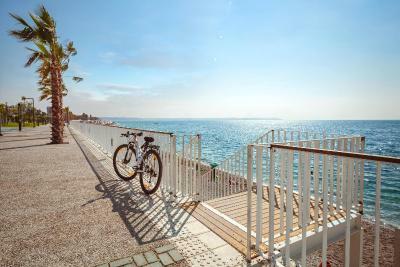 The location is very good, close to the beach and city center. We will stay again here for sure. Good location, just in a 1 min to the beach. 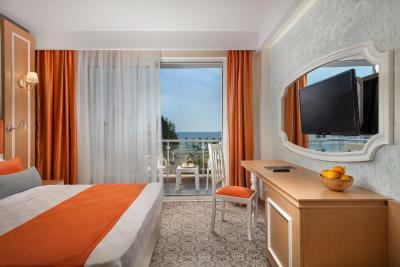 Comfortable beds, sea view from the room, cleanliness, good showers. Breakfast are the best, wide range of choice, including orange juice, coffee, wafles, casserole, soups and lots of cheese, olives, jams and etc. we loved it. Nice and friendly staff, ready to help in everything. they provide with transfer for surcharge. We loved our stay, next time will come again here. Clean room,. 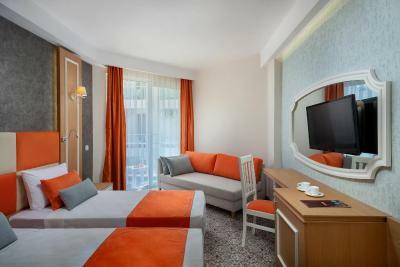 comfortable bed, new bathroom, tv with satellite, very good open buffet breakfast, each day new menu: tosts, tomatos with cheese, soup, boiled eggs, omelet, vegetable casserole, cheese, fresh vegetables, chocolate wafles, orange juice, filter coffee, tea and etc, we loved breakfasts. Very helpful staff, always ready to assist. Nice view from the room, close to beach, perfect location. The hotel was in a quiet place. The breakfast was somehow different everyday. The room was clean and the staff were amazing. In general, It is a 4 stars hotel, not 3. 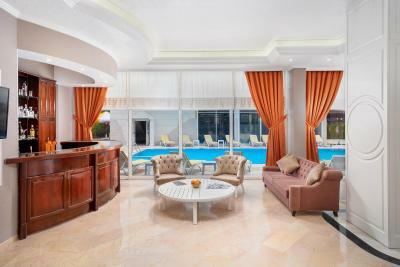 And if I returns back to Antalya, I will book again in this hotel.